Teaching physical education is a challenging but rewarding occupation. Finding a way into the profession can be a daunting task while regular changes in government policy can make it hard to stay up to date. 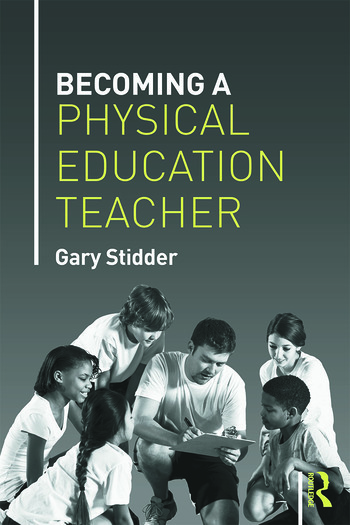 This engaging new book explains the process of becoming and being a teacher of secondary school physical education, from the various routes of entry into the profession, to the realities of being a qualified PE teacher, to the ways in which experienced teachers can become teacher educators and nurture the next generation. It combines rich personal accounts of teaching in, and being taught, physical education, with practical advice for trainees, newly qualified teachers and established professionals, with an emphasis throughout on the importance of critical self-reflection. The book begins by exploring the nature and purpose of physical education and examining the historical development of initial teacher training. It examines recent changes in training, policy and curriculum, and offers an overview of the various ways of becoming a PE teacher, including the Post Graduate Certificate in Education (PGCE) and school and employment based routes. The book offers advice on what to expect at interview, meeting the standards for qualifying to teach, and on how to survive the difficult first year as a newly-qualified teacher. It also outlines the challenges and rewards of being a qualified teacher, mentor or curriculum leader, as well as a teacher educator within higher education. Concise, helpful, and filled with sensible insights based on real experiences of teaching physical education, Becoming a Physical Education Teacher is an essential read for anybody considering entering the profession, or for students, trainees, newly qualified or experienced teachers wanting to understand better the process of becoming, and being, a successful PE teacher.